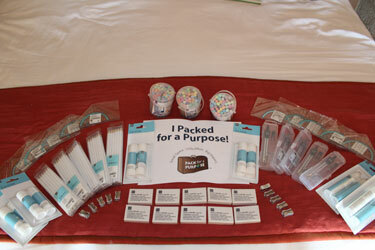 My husband and I recently had a wonderful holiday at Little Arches Hotel in Barbados and were very interested to read about Pack For A Purpose on the hotel’s website. We made sure we left space in our suitcase to pack pencils, erasers, glue sticks, compasses, protractors and pencil sharpeners aplenty which we handed to Sandra, the hotel’s Manager. We will make sure we Pack For A Purpose every trip we make from now on.